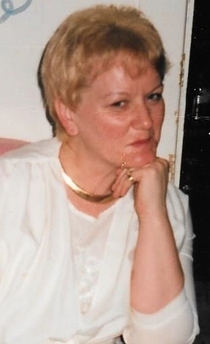 Obituary for Elizabeth "Beth" I. Fowlie | Adams Funeral Home Ltd.
Elizabeth “Beth” Isabel Fowlie of Baie-Ste-Anne and formerly of Black River Bridge passed away at the Miramichi Regional Hospital on Tuesday, February 5, 2019 at the age of 69. Born in Black River Bridge, on October 13, 1949, she was the daughter of the late William and Agnes (MacLean) Fowlie. Beth is survived by her sister: Anna Watling (Neil) of Black River Bridge; brothers: Ingram Fowlie (Connie) of Port Hawksbury, NS and Archie Fowlie (Jean) of Bathurst, NB; sister-in-law: Blanche (Bunny) Fowlie; many nieces and nephews. She was predeceased by her parents and her brother Frederick (Teddy) Fowlie. As per Beth’s request there will be no visitation or funeral service at this time. A memorial service will be held later in the summer. Interment will be in the Black River Community Cemetery.